than one or two dozen words. 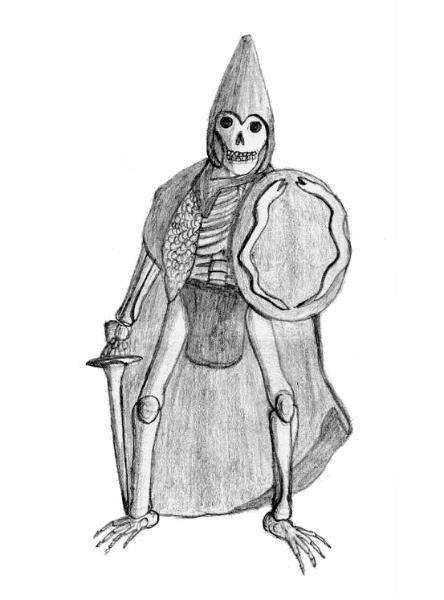 Skeleton warriors strike with a variety of weapons, and may wear armour. skeletons. Skeletons suffer no psychological effects and can not be routed and fight until destroyed. Drawing of a little lead miniature.